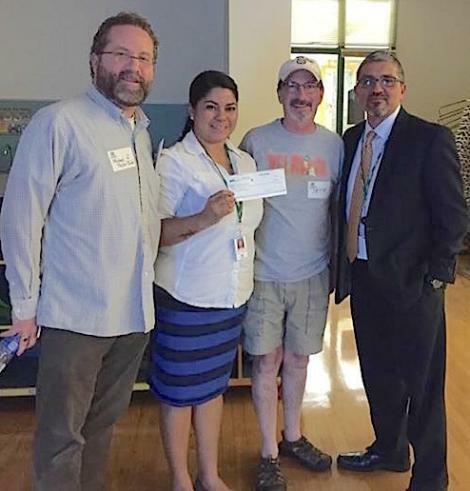 This evening Michael Taylor-Judd and Pete Spalding, representing VIEWS, presented a check to Angie Ramirez (Delridge Community Center Coordinator) and Jesus Aguirre (Seattle Parks Department Superintendent). This check is part of our commitment to building community in our Delridge neighborhoods. The check is a donation of a portion of the sponsorship dollars from the 10th Annual Delridge Day Festival that was held on August 8th at the Delridge Community Center complex. They say it takes a village to raise a child… It also takes many, many committed and passionate people to build a community group. We hope you will be one of those people as we begin building out our community group. Stay tuned for what 2015 has in store!